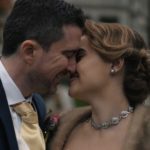 Traditional vs Cinematic Wedding Video – Which to Choose? Traditionally, couples picked local videographers to film their big day. But with the age of the online streaming, there is now far more competition. It’s weird to think YouTube only launched in 2005. Couples are now able to shop around, reviewing sample footage and comparing packages. Geography is now much less of a factor. The landscape might be opened up but it can be hard to know what to choose, or even what you like. So is it all down to equipment? Bigger isn’t always better and it’s a poor craftsman that blames his tools. Equipment is just one small part of being able to create a cinematic wedding video. For about 10 years, DSLR cameras have been able to shoot HD video to some extent. DSLRs allow for use of a shallow depth of field and are much smaller than traditional cameras. This meant it was cheaper to emulate a cinematic look, if you knew what you were doing. There is no good or bad when it comes to style, some like the traditional version and some the more cinematic packages. Both have their place and it’s up to you to decide. 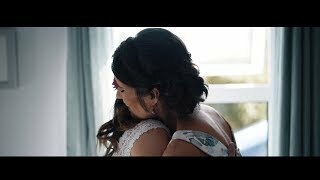 We offer cinematic wedding videos. It’s what we love doing and allows us to be creative throughout the process. It’s a reasonable question, but in the context of wedding video suppliers, it’s essentially the same thing. The two terms are totally interchangeable at this stage. We happily go by both, even though we only shoot cinematic wedding videos.